Chinese politician Bo Xilai is appealing against his life imprisonment sentence, reports say. The former party chief of Chongqing was sentenced to life imprisonment on Sunday. He was found guilty of bribery, embezzlement and abuse of power. 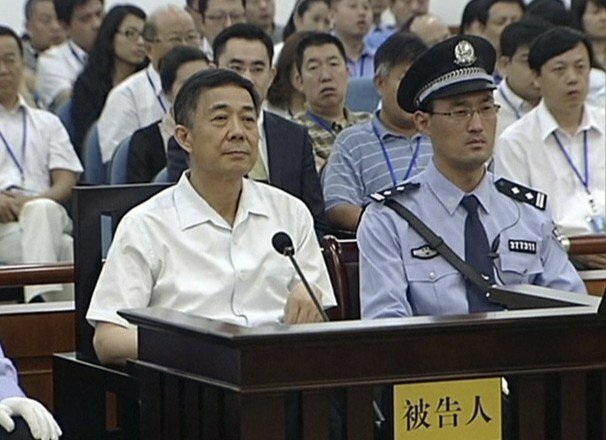 Bo Xilai was removed from office last year amid a scandal which saw his wife Gu Kailai convicted for the murder of British businessman Neil Heywood. He denied all charges in a vigorous defense at his trial. The downfall of Bo Xilai – who had been seen as a candidate for promotion to the Politburo Standing Committee, China’s top decision-making body – was the biggest political shake-up to hit China’s ruling elite in decades. “He informed the court yesterday of his request for an appeal following the verdict,” AFP news agency quoted a lawyer with “direct knowledge” of the case as saying. Another unnamed source quoted by the news agency said Bo Xilai would appeal against the “entire verdict”. Earlier, the ruling Communist Party said the life sentence given to Bo showed that no one was above the law. “The resolute punishment of Bo Xilai according to law has fully shown that there are no exceptions in the face of party discipline and state laws,” a commentary in the party-run People’s Daily said. Many analysts say the case was simply a legal way of getting rid of one of China’s most popular politicians. Bo Xilai is reported to have erupted in anger as he was sentenced. Bo Xilai was expected to lodge an appeal but correspondents say few think it will be successful.